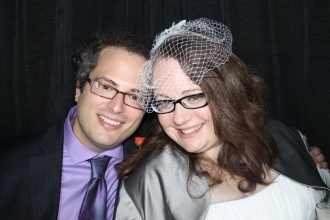 Adoption Profile - Adoption Story - Hopeful adoptive parents, Simona and Russell, wish to adopt a baby. We live in a cozy house near the City of Pittsburgh. We live in an urban area with lots of neighbors but we're still walking distance to three gorgeous parks and lots of nature. We're just a short drive from waterfalls and public lands. Near our house is a botanical conservatory, many libraries, art and natural history museums and a children's museum. We're also near 4 major universities with beautiful campuses. We can't wait to spend weekends showing our favorite places to our baby. environment better and want to make the world cleaner and safer. and our nieces and nephews. future family. I work for a non-profit and use my skills to help educate others.